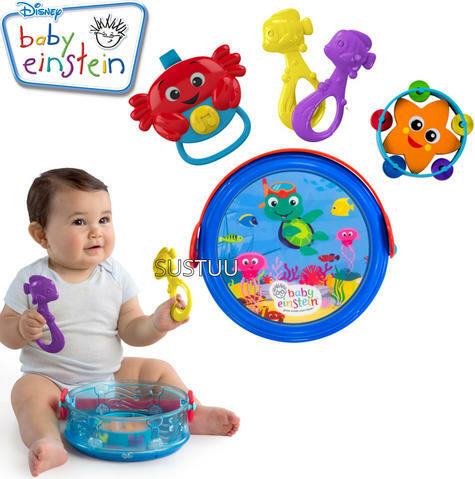 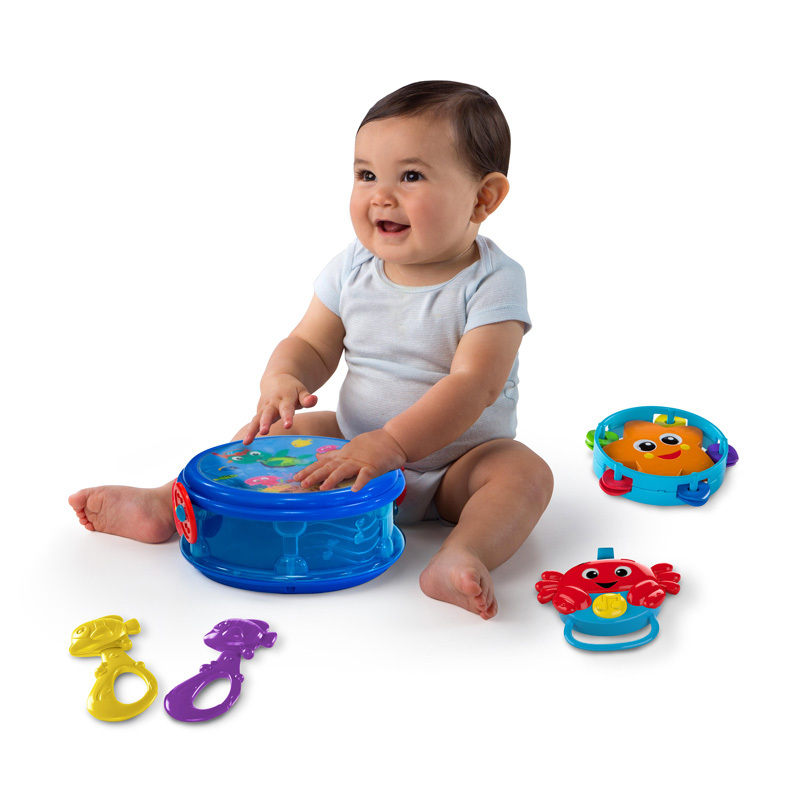 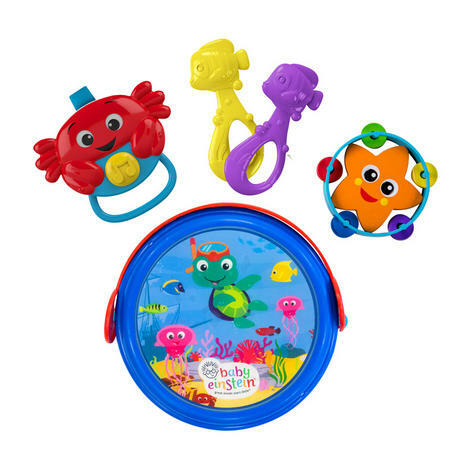 Great minds start little.™ Encourage your baby’s creativity and self-expression with Baby Einstein toys -- like the Music of the Seas Drum Set. 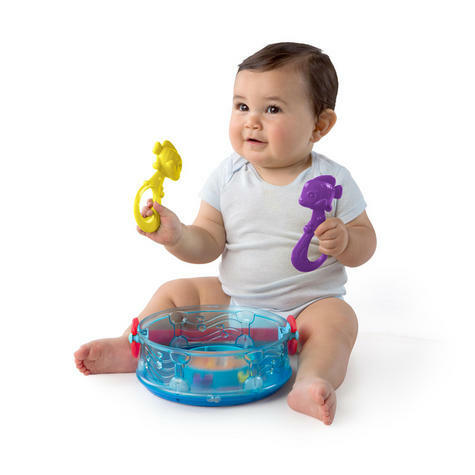 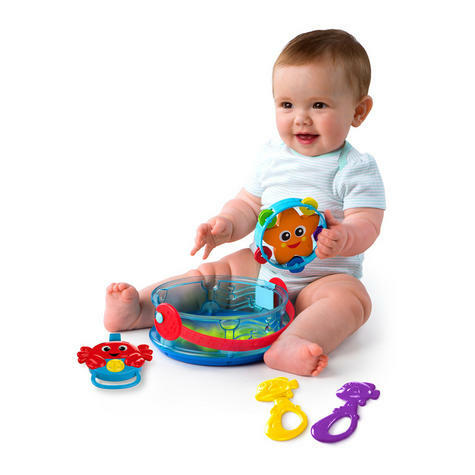 Babies can enjoy shaking the starfish tambourine and fish maracas, and, of course, playing the drum until their heart is content. 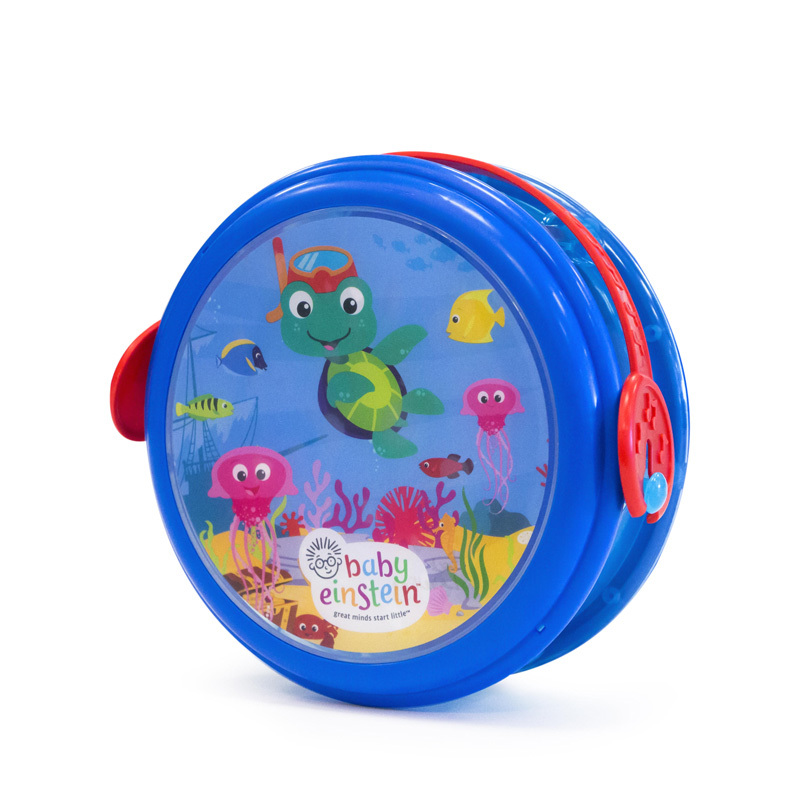 There is also an electronic musical crab toy, where baby can hear classical melodies and silly sounds with the push of a button. All of the toys easily pack up and store inside the drum itself, which includes a convenient handle for taking on-the-go. 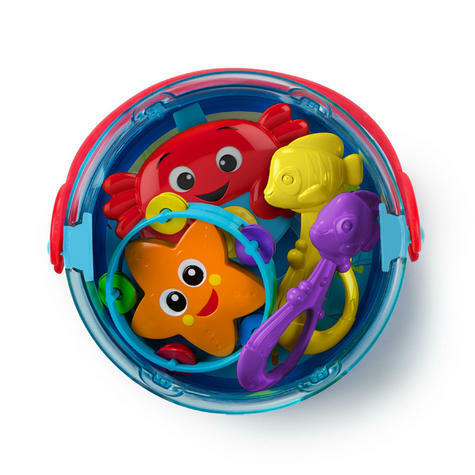 Crab toy is easy to take on the go!